An additional event to our existing programme will be KSD Edinburgh’s participation in Doors Open Day on Sunday September 24th, 2pm to 5pm. This has come about at the invitation of the Cockburn Association who organise the event to celebrate Edinburgh’s iconic buildings. As such we are honoured and happy to participate. However, we could do with a little help from our friends! See below. 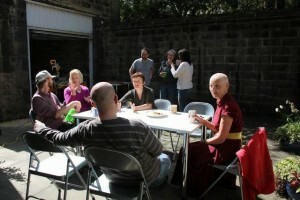 A huge thank you to everyone who has ever volunteered their help at Samye Dzong Edinburgh! 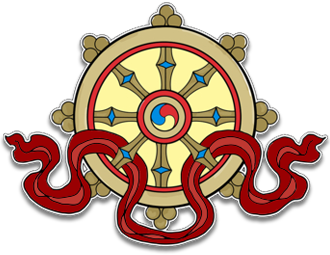 And now an invitation to anyone who can help us get the Centre ready for the upcoming Open Doors Day on the September 24th and the Anniversary Events with Lama Yeshe Rinpoche on September 29th/30th. Jobs include, cleaning the exterior building and courtyard, weeding, sweeping etc. (please bring a trowel or similar useful tool if you have one), as well as making the interior spick and span. In addition we also need people able to help out on a regular basis with Admin, DIY, and General Upkeep so do let us know if you have an afternoon a week to spare. Please drop us a line if you can assist, either on September 17th, or on a more regular basis. We’d love to hear from you!